In Kartini Day at Arnott’s Indonesia, every women employees have to dress using Indonesian Local Dress such as Kebaya and Batik. I took picture with my colleagues from sales and marketing department. We have a fashion show during Kartini Day. That lady on my left was the winner. How do you celebrating Kartini day? and what kind of costume for guys wearing? 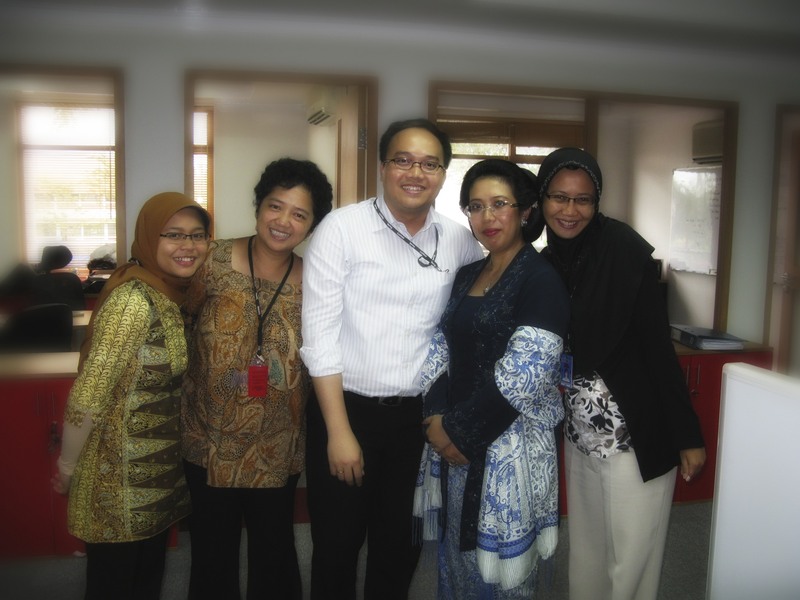 We celebrated Kartini day by taking pictures all around the office or even go further to various historical sites. We the guys wore Indonesia’s traditional clothes.